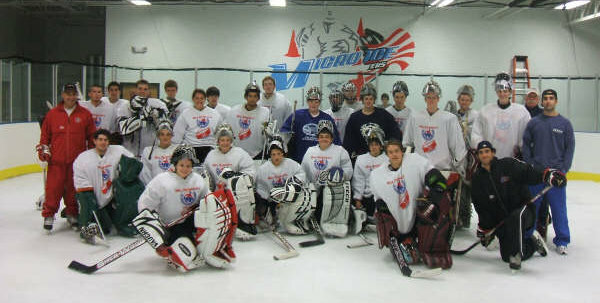 Mike Geragosian, one of the most experienced and technical goaltender coaches, has developed several professional players and college All-Stars. Presently, Mike is the Goalie Coach at Hockey East's Boston University and is Director of Goaltending for USA Hockey - MA. He consults goaltenders and coaches at all levels throughout the nation. In addition to his present affiliation with Boston University, Mike has also coached at Merrimack College, UMass Lowell, and Princeton University. He is a national consultant for professional, college, and USA Hockey. Mike has his Masters degree and has been an educator for over 25 years. An All-East goaltender himself, Mike continues to produce the finest collegiate goaltenders in the country. Several of his protégé have become All-American goaltenders and have played at the professional level for Calgary, Winnipeg, Pittsburg and Buffalo. Mike's hard work philosophy along with his personal teaching methods have developed several goaltenders playing at all levels. Mike instructs over 500 goaltenders annually. He has also been an asset to several college head coaches and professional scouts by recruiting goaltenders for their squads. Overall the U-Lowell "Hall of Famer" and ECAC record holder invites you to camp to learn all aspects of goaltending!